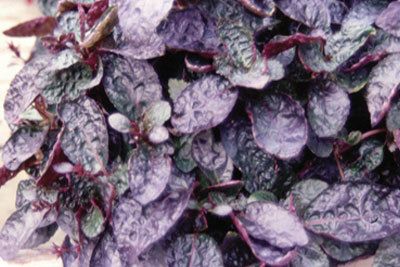 Waffle plant produces glossy, burgundy leaves that are wine red underneath. This plant has a spreading, mound shaped habit growing to about 12-15 inches tall. Waffle plant grows well in warm conditions in shade to partial shade. It is a tender plant that overwinters well as a houseplant even under low light.